Spray paint on gloss paper painting depicting a striated mountain landscape above which the evening sky hosts a nearby planet where gigantic flames can be seen sweeping over its surface. Mixed media artwork composed of painted paper mache and acrylic paint on a box canvas frame representing a hot flaming meteor displaying impact craters on its surface blazing a trail through outer space. 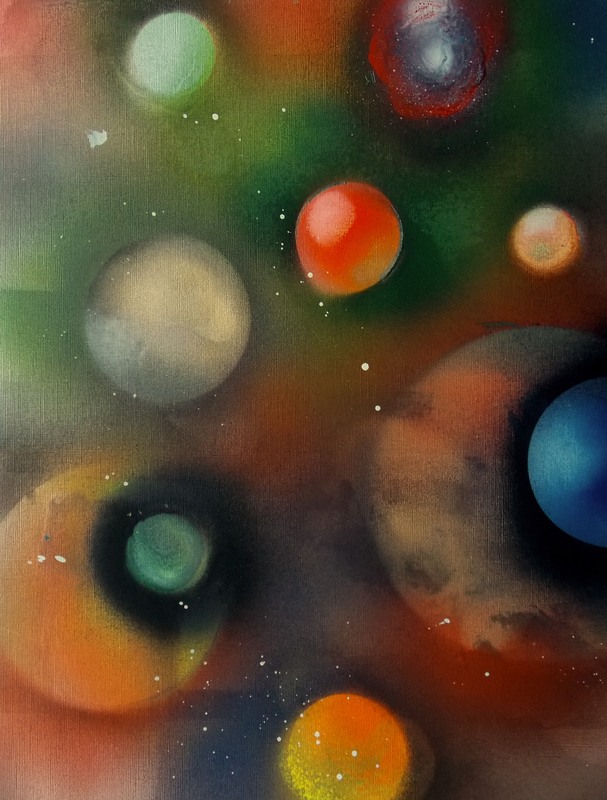 Aerosol spray paint on acrylic paper painting depicting a group of planets orbiting around each other within interstellar space. Acrylic spray paint on acrylic paper abstract painting representing a view looking across the universe to where rectangular worlds are created exist due to the effects of gravity and continue to exist. Aerosol spray paint on acrylic paper abstract painting representing a gaseous cloud in deep space giving birth to a group of gold based planets. 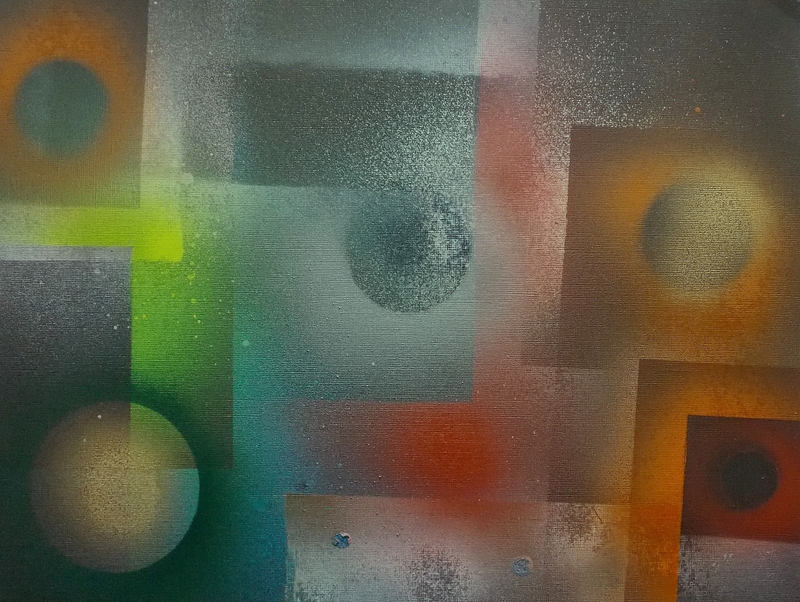 Aerosol spray paint on acrylic paper abstract painting representing the view from a Starship window looking across deep space towards a group of metallic moons in orbit within an undiscovered solar system. Abstract mixed media wall sculpture composition of painted shredded cardboard and polystyrene tubes on a box canvas frame representing golden bacteria forming amongst a group of chromosomes floating in deep space.